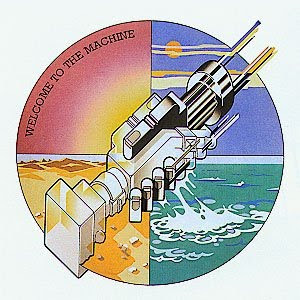 The concept behind "Welcome to the Machine" and "Have a Cigar" suggested the use of a handshake (an often empty gesture), and George Hardie designed a sticker containing the album's logo of two mechanical hands engaged in a handshake, to be placed on the opaque sleeve. 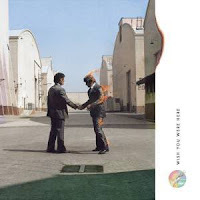 The album's cover image was inspired by the idea that people tend to conceal their true feelings, for fear of "getting burned", and thus two businessmen were pictured shaking hands, one man on fire. "Getting burned" was also a common phrase in the music industry, used often by artists denied royalty payments. Two stuntmen were used (Ronnie Rondell and Danny Rogers), one dressed in a fire-retardant suit covered by a business suit. His head was protected by a hood, underneath a wig. The photograph was taken at the Warner Bros. studios in Los Angeles. 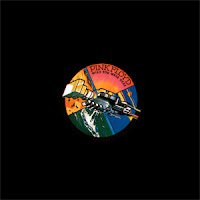 Jim Morrison's "An American Prayer"
Pink Floyd : Timeless Psychedelia !